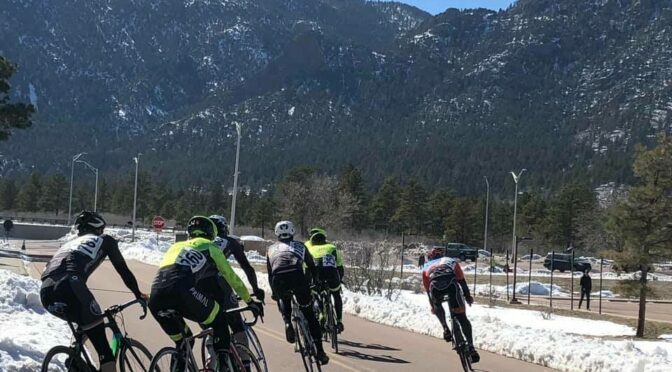 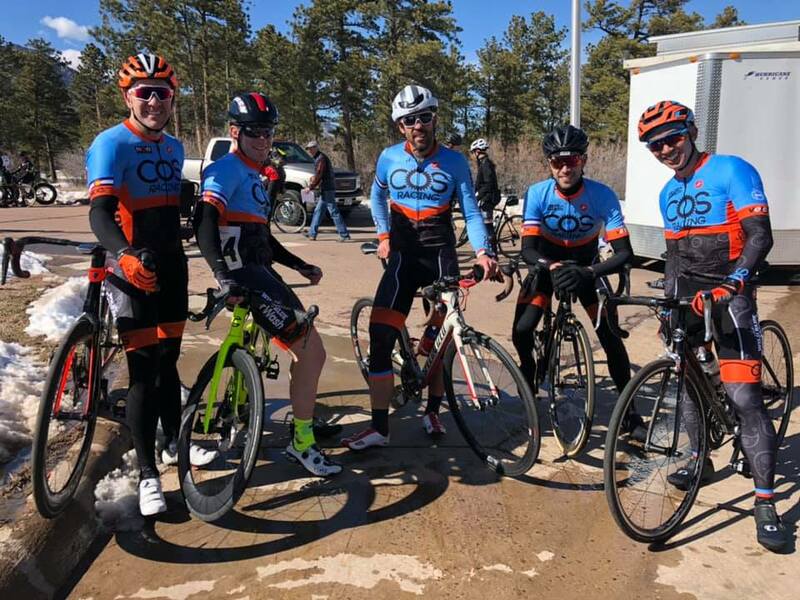 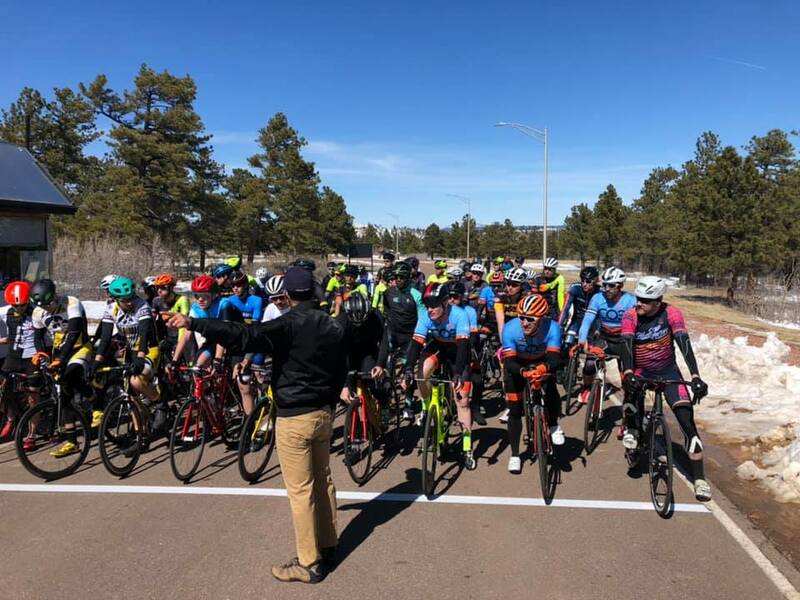 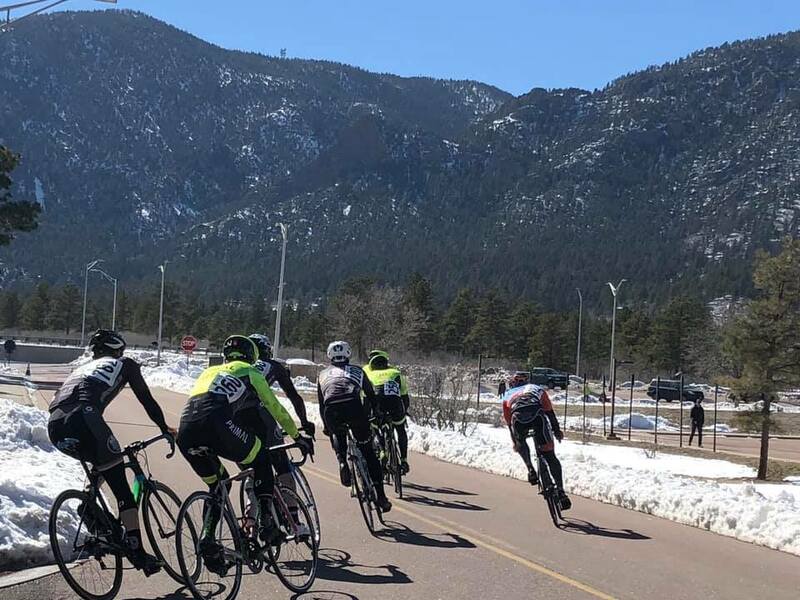 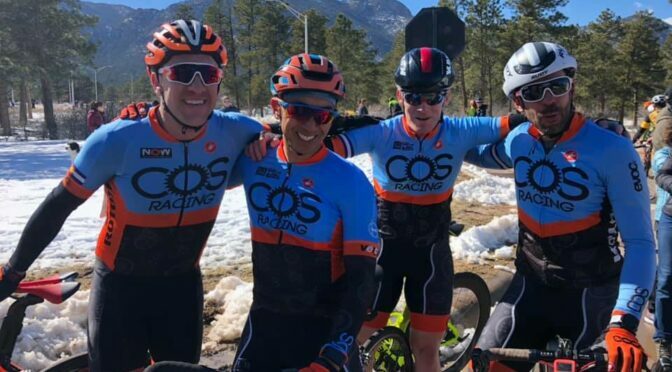 US AIR FORCE ACADEMY, COLORADO – During the first day of racing at the annual Front Range Classic, COS Racing riders notched up solid criterium performances against large fields and tough competition. 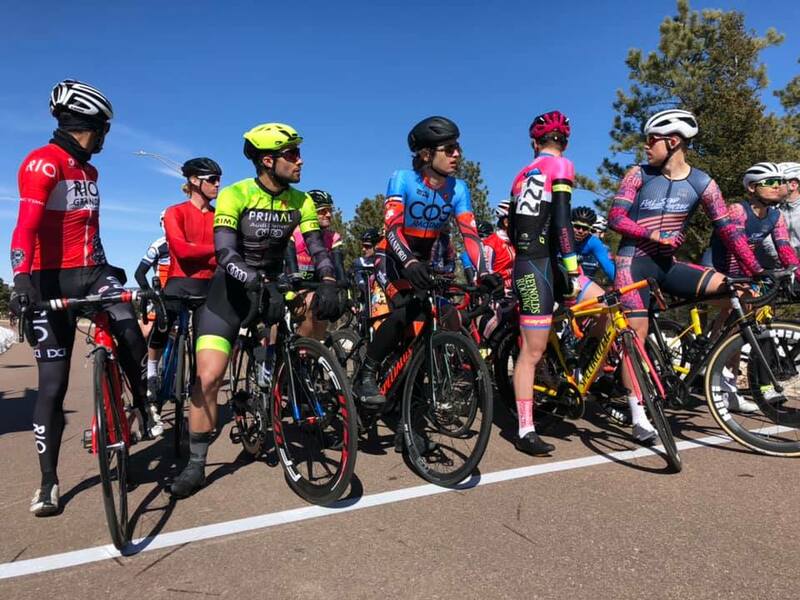 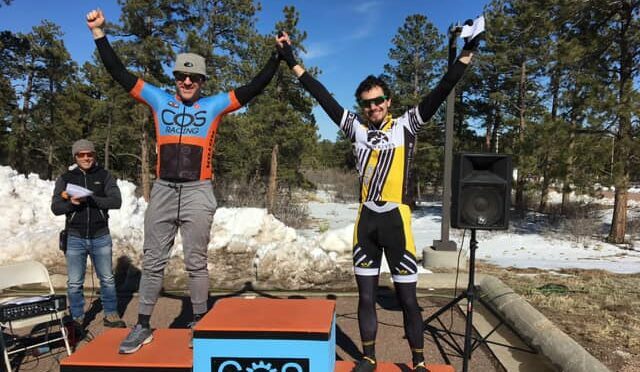 Despite the cancellation of the earlier time-trials due to icy conditions, the morning sun quickly melted any winter residue left over from Wednesday’s blizzard and made for a great day of criterium racing. 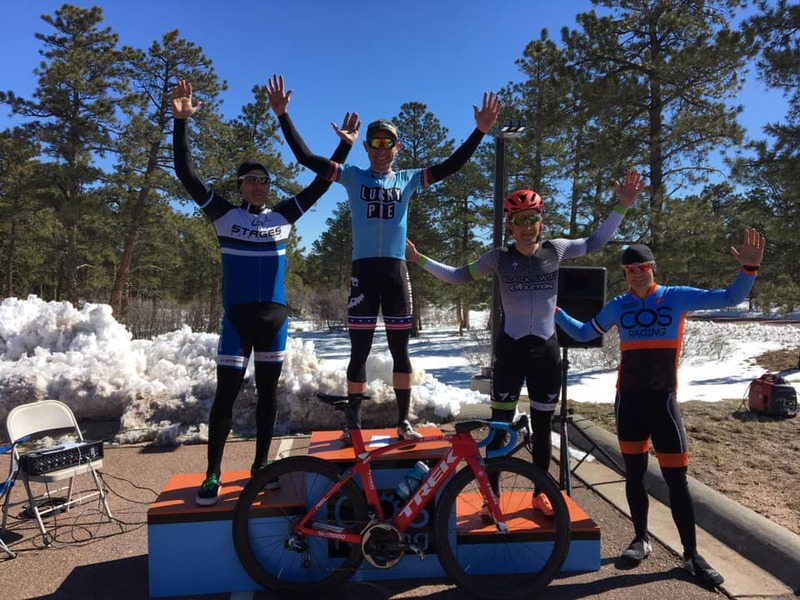 Top-ten results included a second place, one fifth, and a seventh place on a fast .7mi criterium course at the US Air Force Academy. 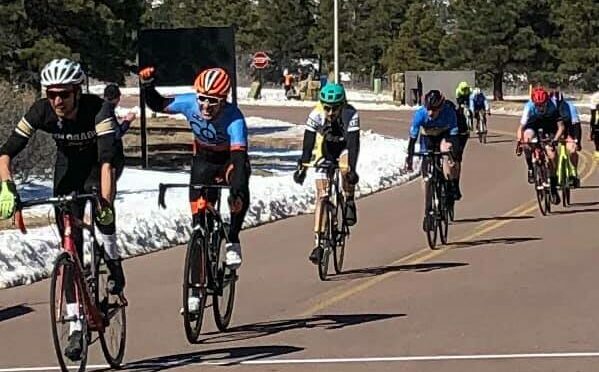 In the Men’s Masters (40+) Open Category, Dave Neis raced to fifth place against an strong field of Pro/1/2/3/4/5 racers, finishing just behind former US Hour Record Holder and US National Road Race Champion, Norm Alvis. 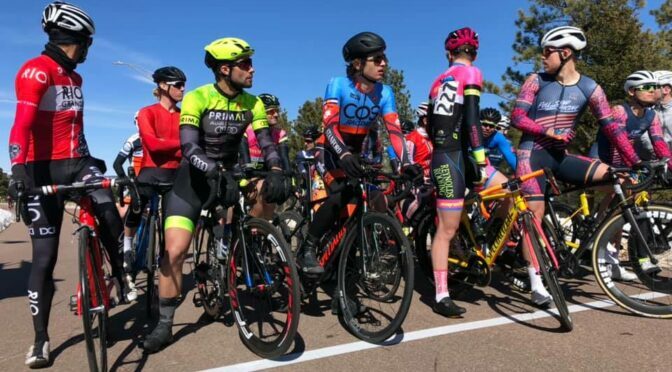 In the Men’s Cat 4/5 race, five COS Racing riders lined up against a strong field of over 60 racers. 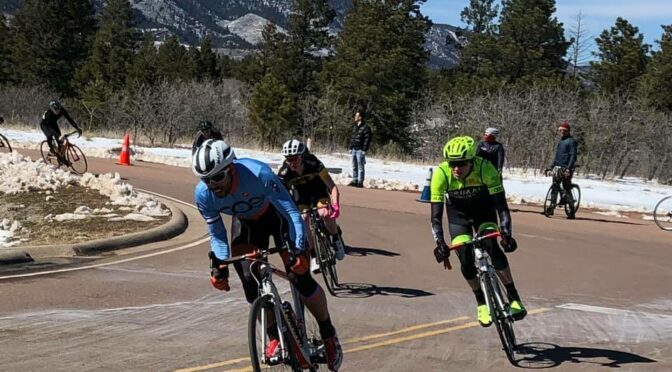 Racers Ian Matteson, Matthew Payne, and Vladimir Dragomirov succeeded in making it into the decisive move early in the race, when a group of 20 riders, driven by Ian Matteson, was able to open a gap on the remainder of the field. 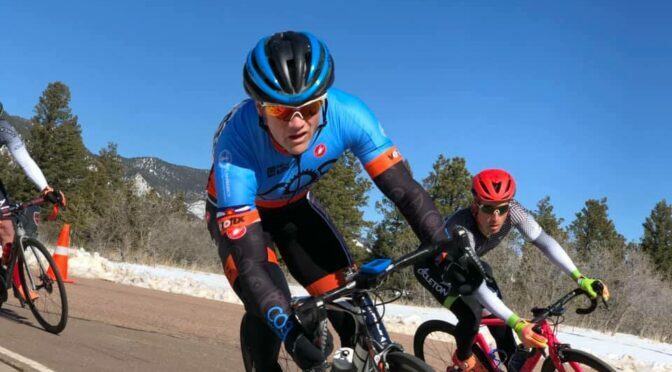 Matteson held position near the front throughout the race and was one of the key animators on the climb. 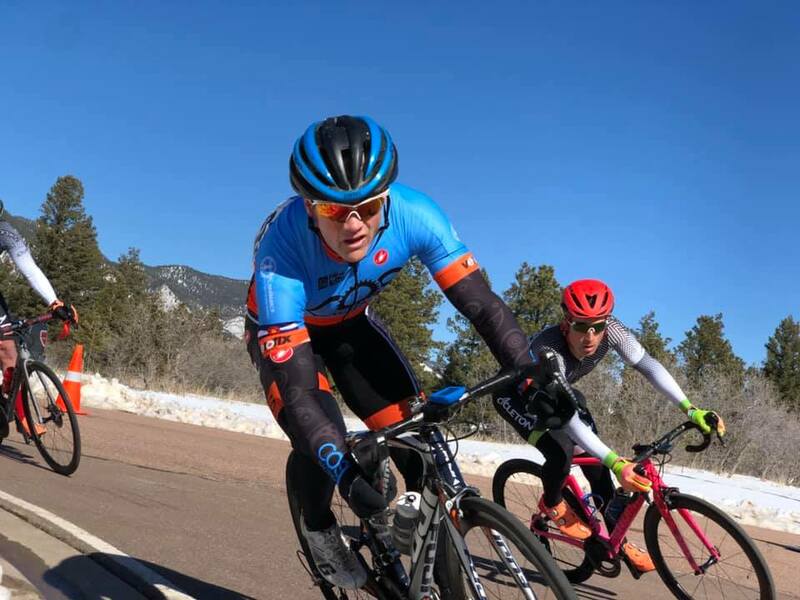 With about seven laps remaining, Matteson’s efforts on the front had reduced the field to fifteen racers. 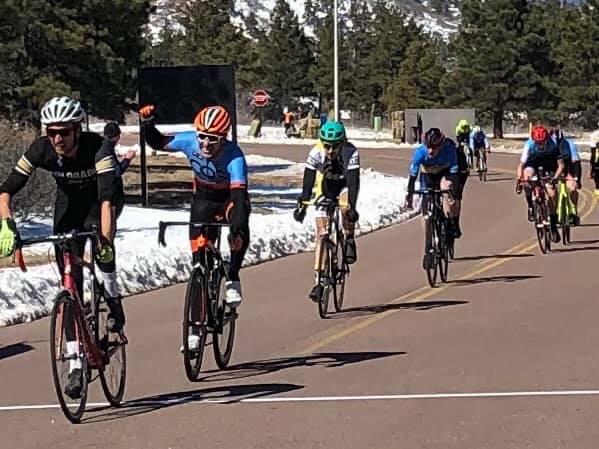 Matthew Payne demonstrated smart tactics throughout remaining well sheltered in the lead pack. 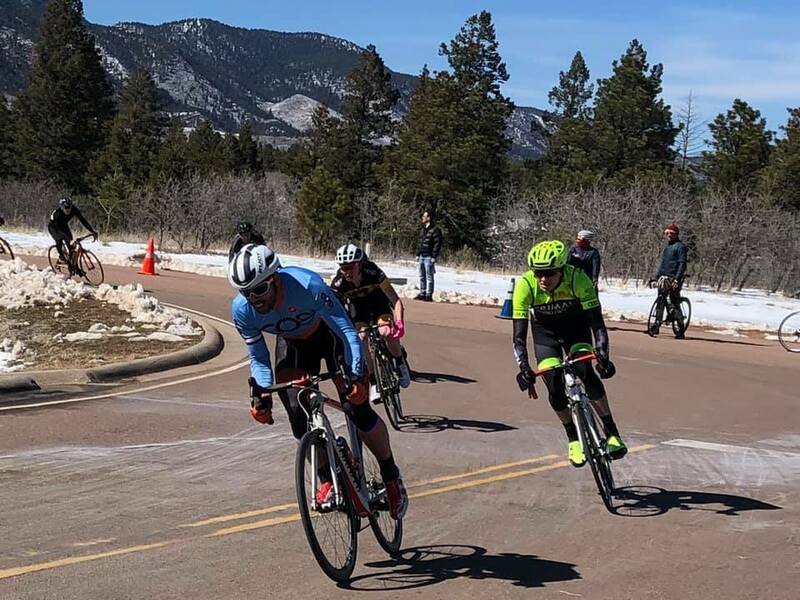 With three laps to go, Dragomirov launched an attack that further strung out the lead group. 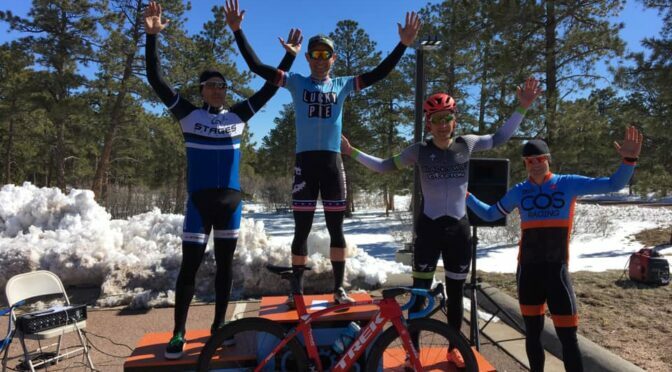 Matteson crossed the line in second, while Payne and Dragomirov sprinted to 7th and 13th positions, respectively. 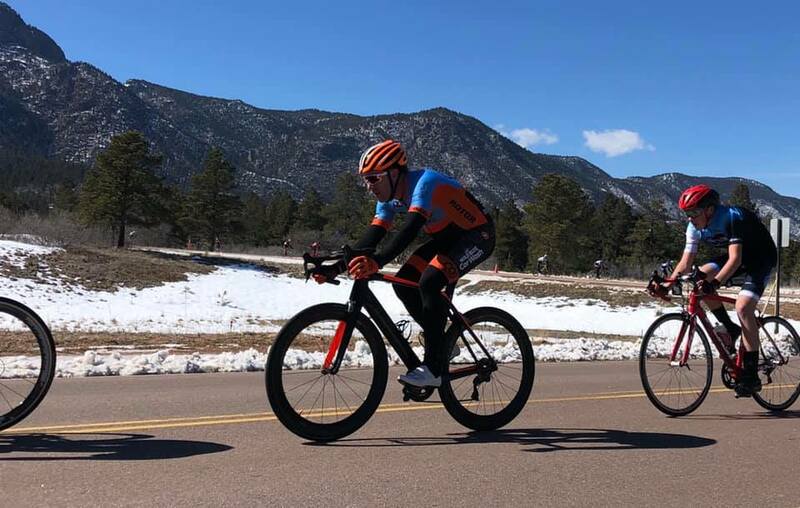 Riders Mark Leenheer and Ron Buhdi placed finished behind the lead group. 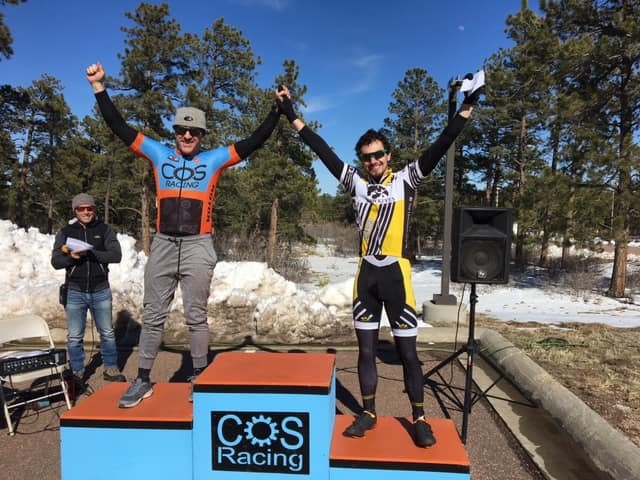 Additional COS Racing competitors included Matt Brady in the Men’s 2/3 Crit. 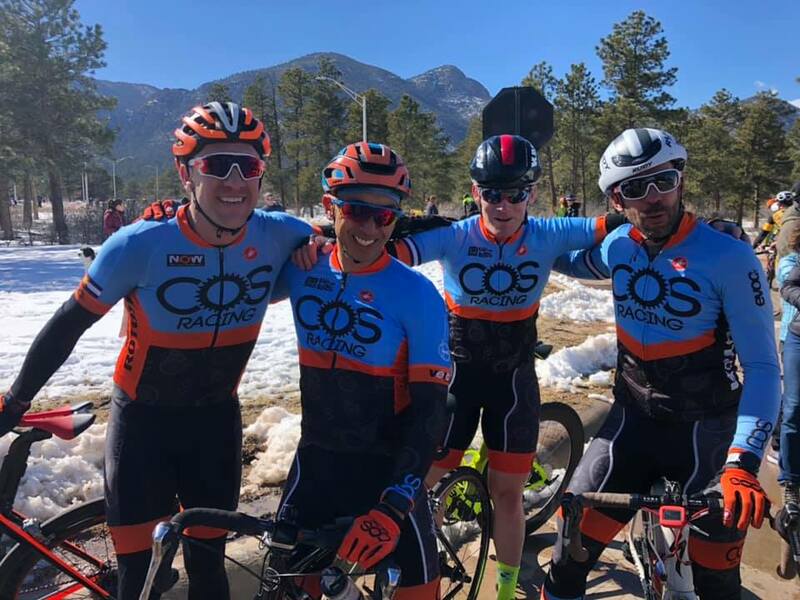 Matt rode a strong race, initially sticking with the lead group before getting separated and finding himself in one of the many chase groups. 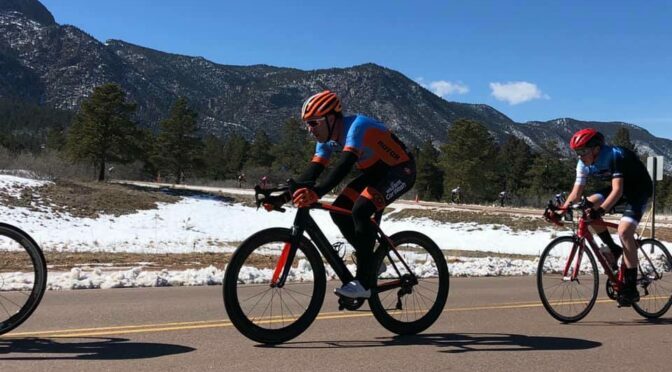 He finished 11th overall. 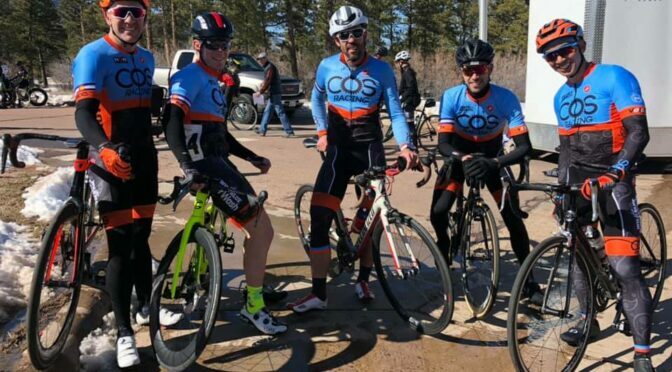 COS Racing is one of the co-sponsors of this race. 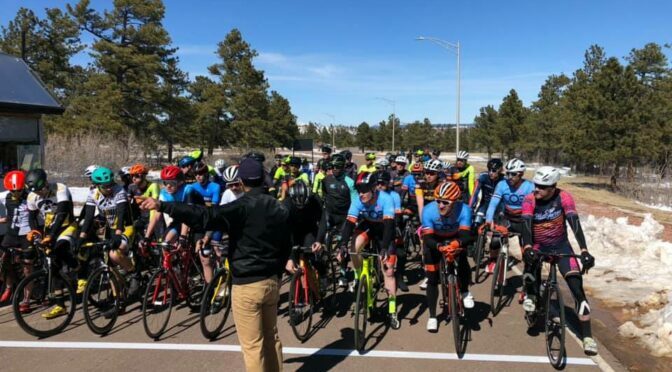 Over fifteen team members volunteered on day one to manage on-site registration, number pick-up, and course preparation.